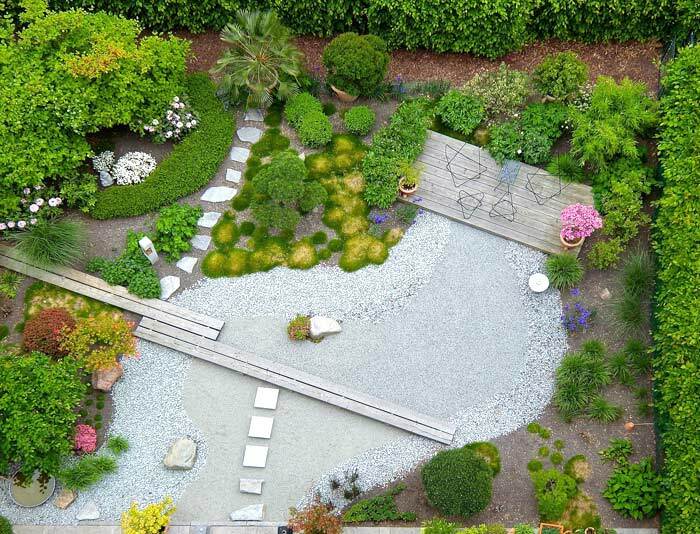 As a landscaper in Pasadena, we get calls from a variety of clients who are asking for a wide range of services. 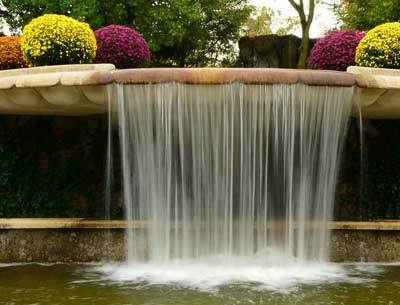 From sprinklers to custom water features to general landscaping, we provide a long list of services to help your yard look beautiful and inviting. We believe you should be able to enjoy your land, not feel burdened by taking care of it or embarrassed because it needs a makeover. That’s why at Chuck’s Landscaping, we approach every project as if we were working on our own property because you deserve the best every step of the way. When you are shopping around for Pasadena landscaping services, we encourage you to take the time to ask questions and get the information you need to choose the best company for the job. We do our best to provide you with the information you need to make the decision, such as design plans and photos of past work, but we also take the time to answer any questions you may have about your project or our experience. We understand that it’s a privilege to work on our clients’ properties and we treat it as such every day we’re on the job. Make sure you know who you’re hiring and what you’re paying for when you purchase Pasadena landscaping services. Look over the bid you receive and write down any questions you may have about it so you can get the information you need to get the most from your landscaper in Pasadena. Why do so many people call Chuck’s Landscaping for sprinkler repair in Pasadena? Our responsiveness, our knowledge of the equipment, and our competitive pricing probably have something to do with it. 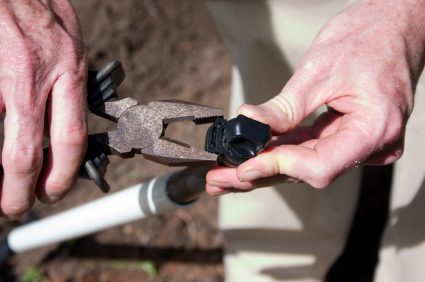 Visit our sprinkler repair & installation page to learn more, or call now to get a custom bid on your lawn irrigation needs. At Chuck’s Landscaping, we provide a variety of services from lawn maintenance to custom koi pond design and construction. We are a full-service landscaping company with professionals that have the knowledge and experience to make your backyard dreams a reality. As a provider of Pasadena landscaping, we get asked often if building your own koi pond can be done. It should be as simple as digging a hole, preparing it properly, and filling it with water, right? Unfortunately, we find ourselves cleaning up DIY koi pond installations or even installations done by inexperienced landscapers all the time. That’s why it’s important to have an expert design and build your koi pond so your pond and your fish have the best chance. 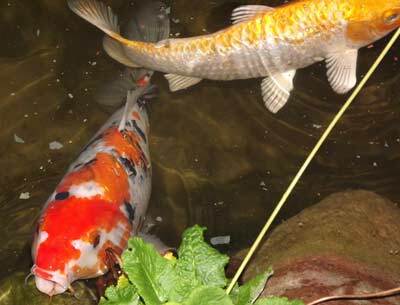 Koi pond size – we know how big your pond needs to be to take care of the fish you want. Koi pond location requirements – did you know run-off water can harm your koi habitat or that koi fish need at least 4 hours of direct sunlight to survive, but too much sun can cause algae growth? Koi pond liner insufficient – the liner is expensive, so you may be tempted to try to buy as little as possible. This is a mistake – you need excess liner so it can overlap and properly line your pond. Koi pond construction mistakes – underestimating how hard it is to dig a proper hole happens all the time. Additionally, not building the proper depth, steepness, ledges, and borders is a common mistake. You want to have your koi pond design and installation done by experienced professionals because if it’s done wrong, you’ll have a murky, grimy pool of water in your yard that attracts mosquitos and bacteria, which is the last thing you want for a backyard oasis. Use a filtration system that includes a purchased system as well as filtering plants that clean the water as they grow. Make sure there’s enough room in the pond for your koi fish to live comfortably. Too many fish or too small of a pond will cause too much waste that will eventually kill your fish. Check for and remove debris daily. Even though you have a filtration system, you will still get debris in your pond that can get caught in your filter or pump or harm your koi. Take the time to check for debris, including bugs, and remove them daily. Clean the pond well. When the water is changed, you should make sure you scrub the rocks and other items you have in the pond to prevent algae and maintain clean water. Be aware of koi predators in your area and make sure you take proper measures to protect your fish. Some koi pond owners prefer not to worry about any of this themselves. If you’re interested in having help with maintaining your koi pond, be sure to ask us about our maintenance packages that can keep your koi pond looking great all year long. We love working in the Pasadena area providing landscaping to our wonderful clients, but it’s not the only city we service. Check out our service area don’t be afraid to give us a call if you have any questions. Your backyard oasis is always just a phone call away. Contact us today to get started on the yard of your dreams.